It's been a classic mid-winter week around Driggs, and I've been fortunate enough to enjoy it in several different fashions. 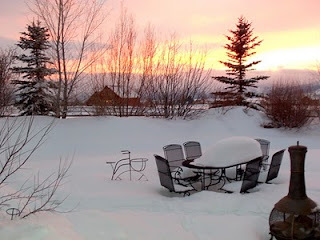 Snowmobiling, skiing, snow biking, snowshoeing, and incomparable Teton sunsets. I almost don't know where to start. An early-week snowstorm added several inches of perfect fluff to a great base. 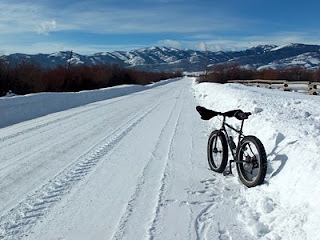 Temperatures were cold but not unbearable; the sun emerged, and my Pugsley snowbike called for a lunchtime ride. 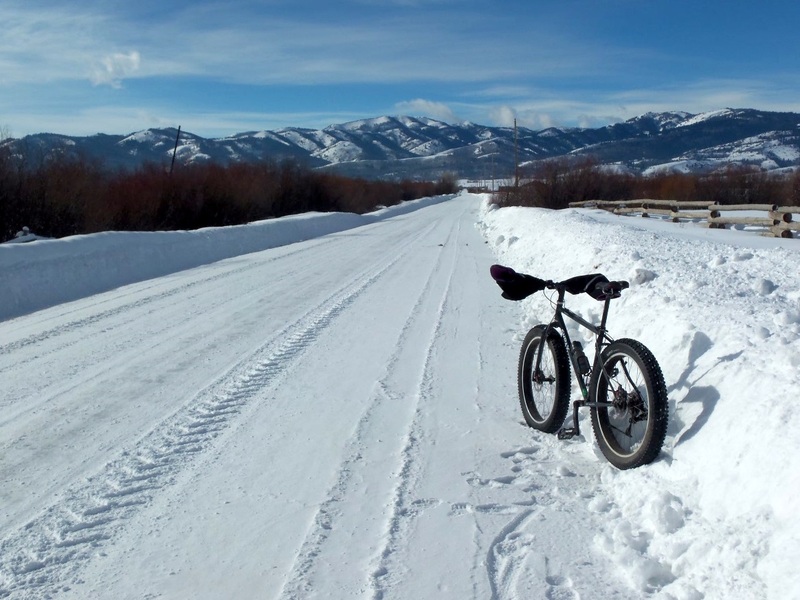 One of the great things about Teton Valley is our abundance of long, quiet Idaho country roads. Riding past farms, the Teton River, Trumpeter Swans, blue sky with mountains everywhere, and the smell of earth...does wonders for the soul. 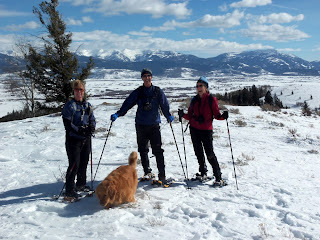 As the weekend approached, we had the chance to do a favorite snowshoe hike with good friends Hank & Karen. Temperatures warmed, sunshine was plentiful, and laughter prevailed. Bridger was enthralled with it all, too...especially the elusive squirrels. 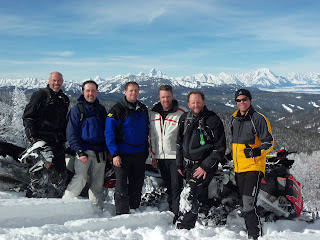 The highlight of the week - and year - was an epic snowmobile trip to Togwotee arranged by my buddy Jon. Snow conditions were stellar, our group of friends was awesome, and the sunny skies added priceless Teton views. I've ridden my whole life, but this was the most aggressive couple of days ever for me. 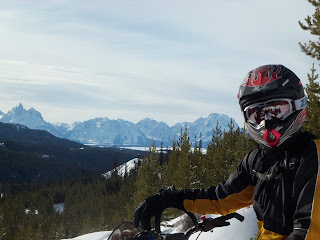 In two days we probably climbed over 50,000 vertical feet, saw four mountain ranges, rode 'til everything hurt, and even dug our guide's stuck sled out from the mouth of a grizzly bear den. Worthy stuff. How do you top off a winter week like this in Driggs? With luminescent sunsets, of course. Peace, adventures, and Happy Valentine's Day to you all.